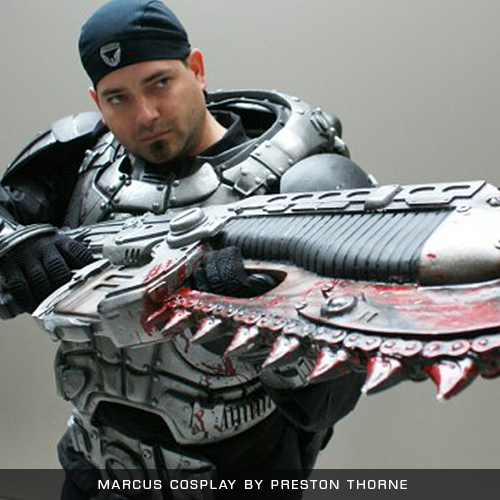 Welcome to the official home of Gears of War Cosplay Guides! 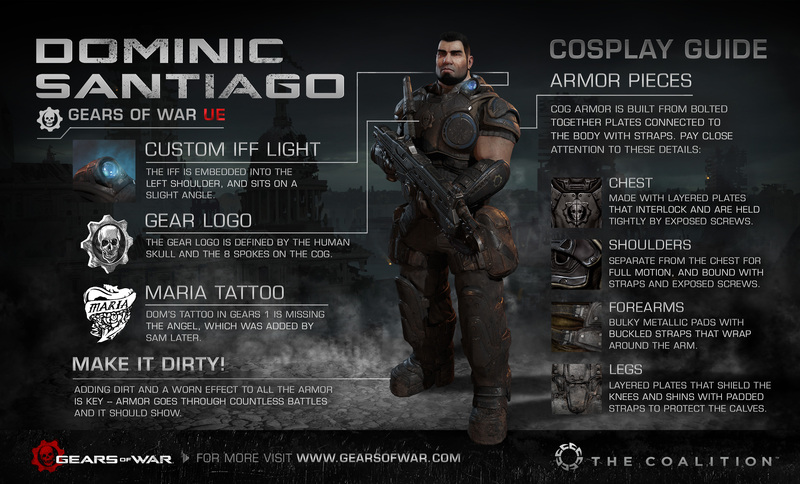 Gears of War has always had the privilege of having an amazing cosplay community, so we're giving back with Cosplay Guides - a resource to help you build outfits for your favourite characters down to the smallest details! 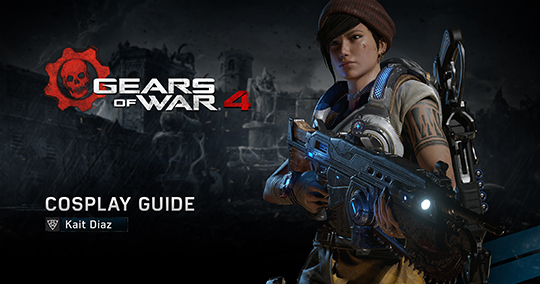 Cosplay Guides will evolve to provide detailed turnarounds of character models, with insight directly from The Coalition's own character art team highlighting those all important details to really nailing the look and feel of a character. 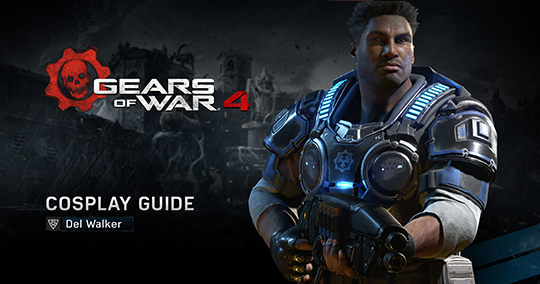 Our first wave of Gears of War 4 Guides are now available, featuring multiple pages of imagery and information direct from our Characters team. 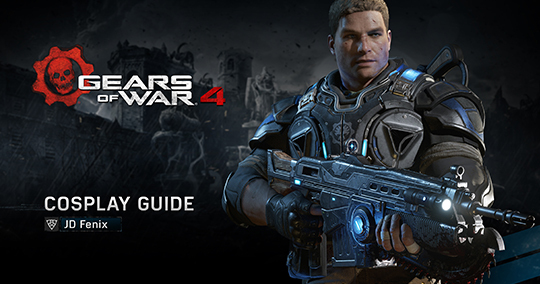 All of our Gears of War 4 guides are published at incredible 4K resolution to capture every detail, and allow you to zoom in on the features that are important to you. 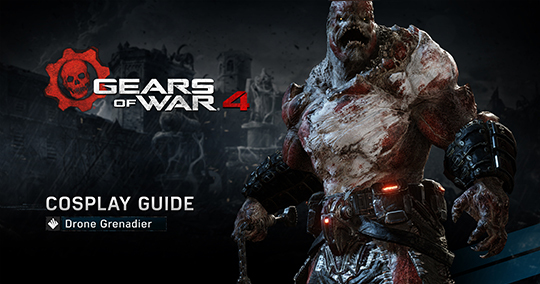 Be sure to also check out our Gears of War Legacy Starter Guides, featured fan cosplay, and how you can share your creations with us at The Coalition right here on our Cosplay Hub. From all of us, thanks for bringing our characters to life! 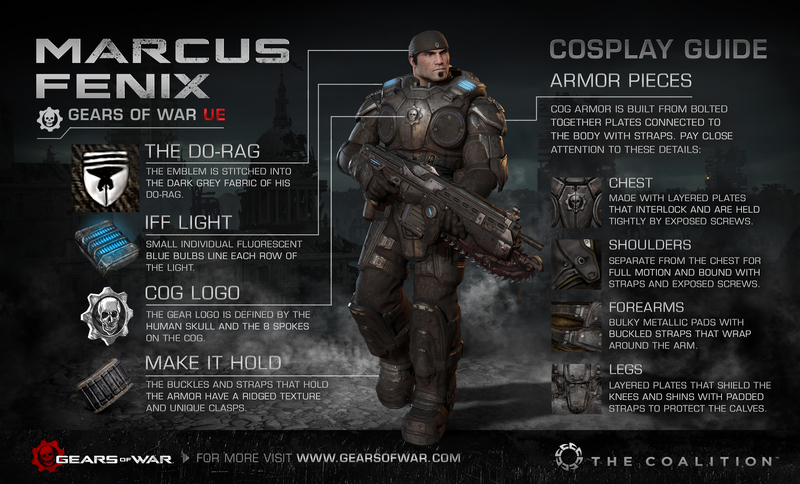 Cosplay as JD Fenix, son of legendary Locust War hero Marcus Fenix and protagonist of Gears of War 4. This 4K resolution Cosplay Guide currently includes: Key features, turnarounds, facial features, armor highlights, iconography and colors. *NOTE* Please download this ZIP (Right Click, Save As) for additional assets references in this guide. 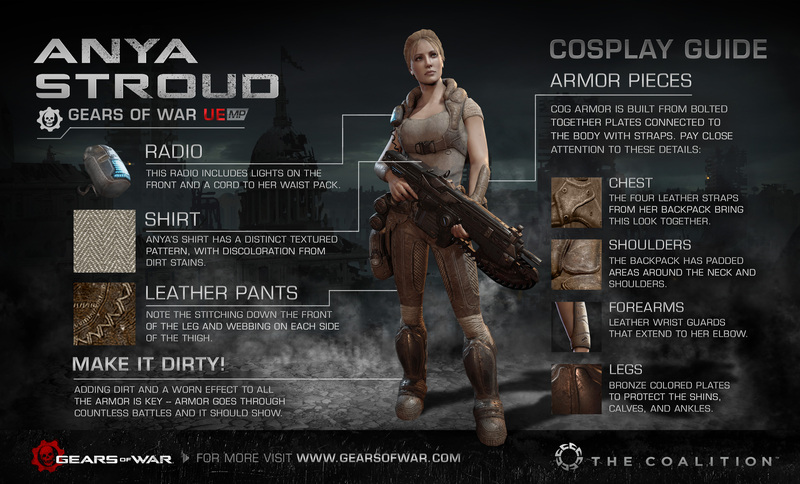 Cosplay as Kait Diaz, a smart, confident, capable Outsider and one of the protagonists of Gears of War 4. *NOTE* Please download this ZIP (Right Click ,Save As) for additional assets references in this guide. 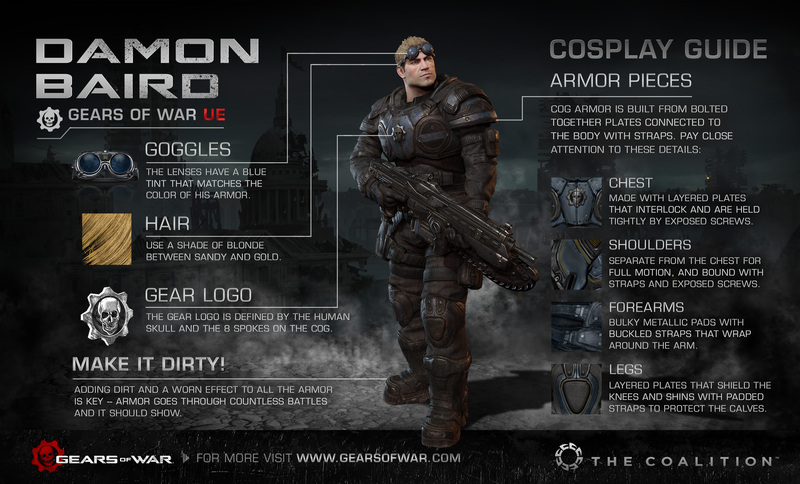 Cosplay as Del Walker, former operative of the COG Special Forces and one of the protagonists of Gears of War 4. 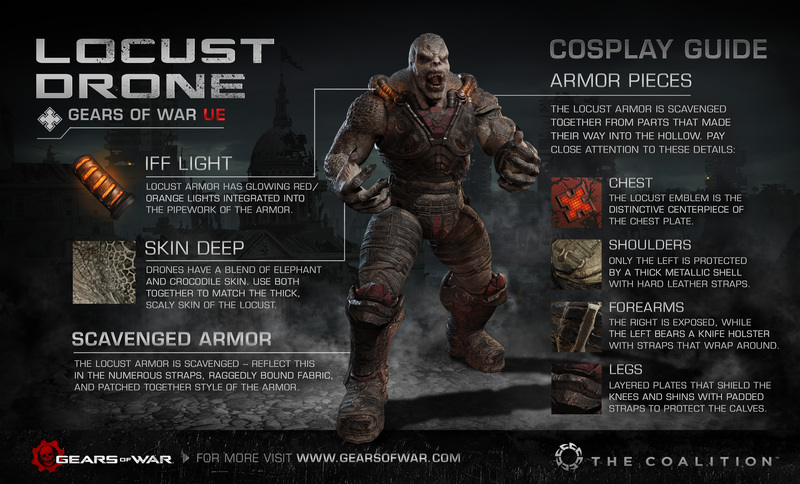 Cosplay as the Swarm Grenadier, a bulkier and more elite version of the Swarm Drone. 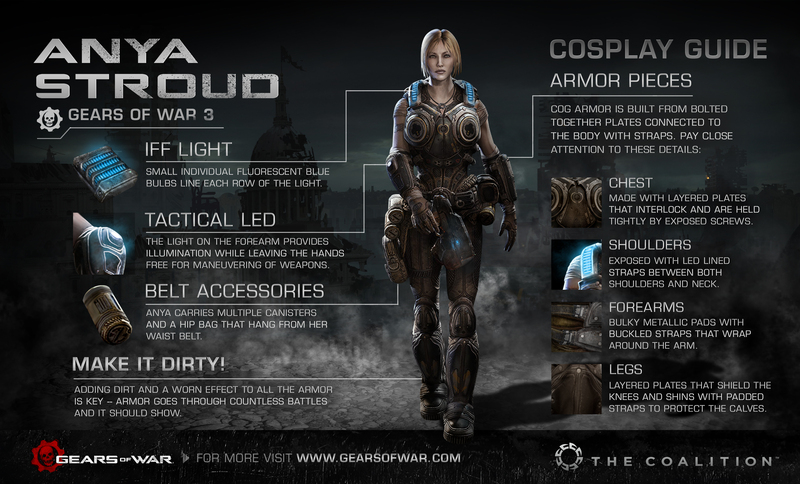 Get Involved in Gears Cosplay! Crafted your own Cosplay, past or present? We'd love to see it! 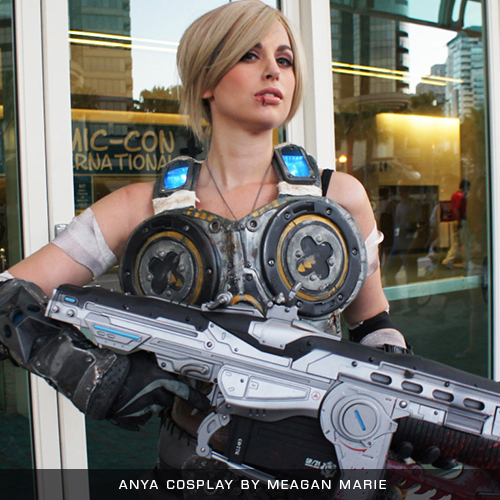 If you'd like your work considered for our Featured Fan Cosplay Gallery on this page, please email our dedicated Gears cosplay account, or tweet images of your cosplay to our studio Twitter account @CoalitionGears! As a member of our Cosplay community, we'll continue to look at ways to support fans who wear Gears cosplay at expos and live shows. 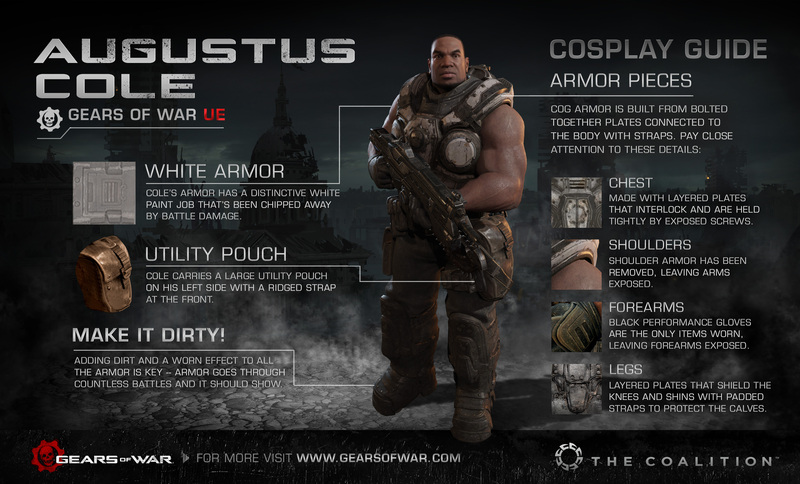 Stay tuned for news on the latest opportunities on our Facebook and Twitter pages for Gears of War.